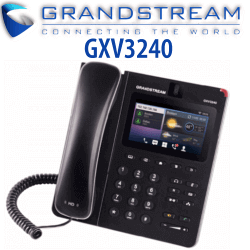 The Grandstream GXP2170 Dubai IP Phone Linux-based model features 12 line buttons with up to 6 SIP accounts, 48 digitally programmable BLF and fast-dial keys with dual color LED, 5 XML programmable soft-keys and the capability to use the GXP2200EXT extension module for up to 160 additional BLF keys. The Grandstream GXP2170 IP Phone also features a vivid 4.3-inch 480×272 color LCD, HD wideband audio, 5-way conferencing, full-duplex speakerphone with advanced audio echo cancellation, integrated PoE, Bluetooth, dual Gigabit network ports, USB and EHS. The Grandstream GXP2170 Dubai IP Phone is an Enterprise VoIP Phone for users requiring handling daily high call volumes. The Grandstream GXP2170 Dubai IP Phone features up to 12 line buttons and 6 SIP accounts on a full color 4.3-inch display. It also has a full duplex speakerphone with HD audio abilities for quality and clearness over voice calls. The Grandstream GXP2170 Dubai IP Phone will keep your conversations as clear as face-to-face communication with the firmest possible connection speeds with double Gigabit network ports. 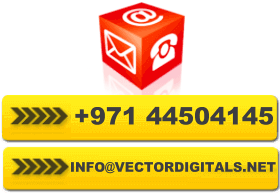 This top of the line desk phone UAE also features PoE and contains built-in Bluetooth for easy combination with mobile devices and Bluetooth headsets. To help keep your contacts at hand, the Grandstream GXP2170 IP Phone Dubai features 48 digital programmable fast dial keys and has the ability to attach with up to 4 cascaded Grandstream GXP2200 EXT Modules for a maximum access of up to 160-speed BLF contacts. As all Grandstream IP Phones do, the GXP2170 IP Phone Dubai features state-of-the-art security encryption technology. The Grandstream GXP2170 IP Phone Dubai supports a diversity of automated provisioning options, encrypted XML files and TR-069, including zero-configuration with Grandstream’s UCM series IP PBXs, to make mass deployment very easy.